The Wedding Present have released a four track instrumental EP called Home Internationals on the El Segell Del Primavera record label. The EP was released on vinyl on Record Store Day 2017 [22 April 2017] and on CD on 19 May 2017. 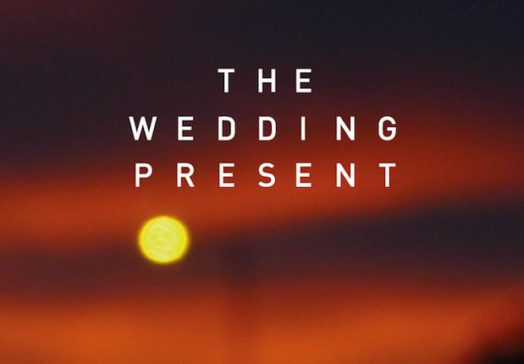 ‘Wales’ was taken from The Wedding Present’s 2017 album Going, Going... while the other three tracks were specially written and recorded for the release. David Gedge was inspired by the challenge of writing a number of instrumental tracks for Going, Going... and decided to use ‘Wales’ as the starting point for an EP of further instrumental pieces. Freed from the restriction of a lyrical narrative the music frequently becomes more experimental and delves deeply into David’s love of pop, rock and film scores for inspiration. ‘England’ also features poet, playwright and novelist Simon Armitage reading his poem ‘The English’. The EP was also inspired by the ‘Home Internationals’ which was an annual football competition between the United Kingdom's four national teams: England, Scotland, Wales and Northern Ireland (the last of whom competed as Ireland for most of the competition's history). It started in 1883 and is the oldest international football tournament in the world. The competition ended in 1983. El Segell Del Primavera is a record label associated with Barcelona’s Primavera Sound festival.